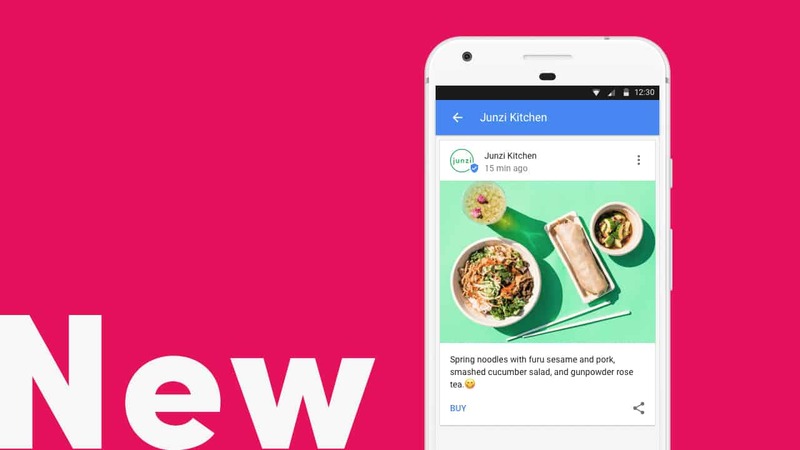 I’m going to show you how to get started with Google My Business Posts. This will be very quick, and you’ll be up and running in the next few minutes. 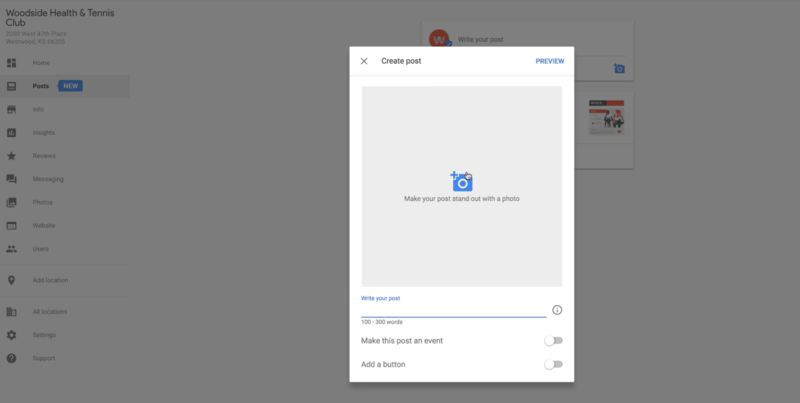 This is a new feature from Google, and it allows you to do a quick micro-post, almost like a little mini blog post or really if you almost think about it like a Facebook status update. It is going to show up with an image and will show up in your search results for your company’s name, things like that, as well as, in some cases, in Google Map search. It is a really neat way to get some messaging out there and put a spotlight on specific things. 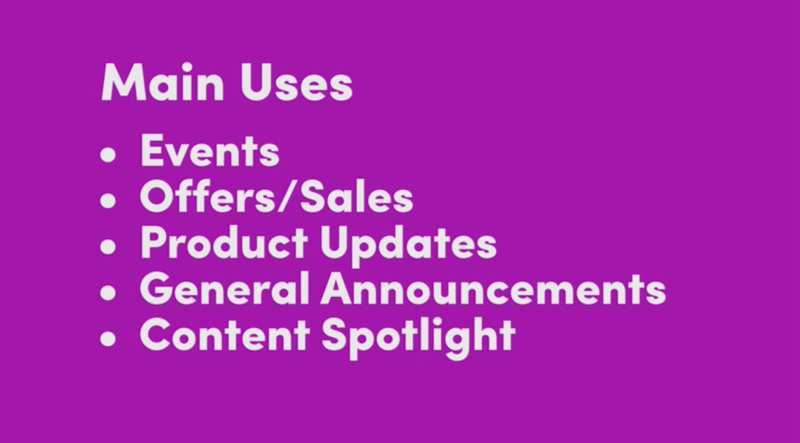 Most people are going to use them for like events, special offers, if you are having a sale, maybe even product updates, like you have new merchandise or something is in the store, or just announcements in general. Say you are closed on 4th of July. 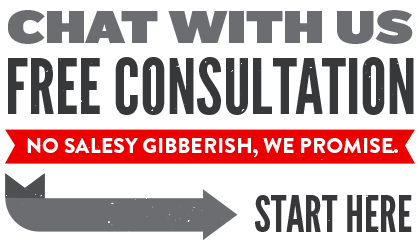 You could make that messaging clear so people are seeing that before they even visit your site. And lastly, you could probably do contact marketing. For instance, in a test that I did, I went in and highlighted a recent guide that a client had posted on their blog. Let’s go take a look at this live, and I’ll show you how simple it is. 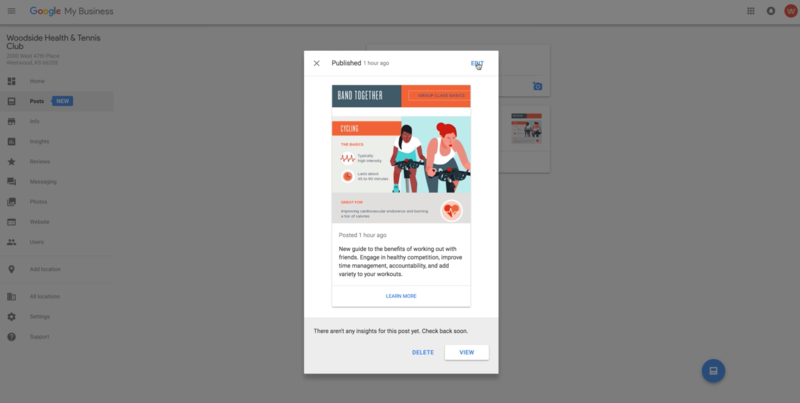 When you are in Google My Business, you are going to see the normal things: your insights, your traffic, and also a hat tip to Woodside Health and Fitness. They are a local Kansas City health club, and they are a client of ours who have allowed us to log in as them to show you this video. You are going to notice Post if you have not been in here lately, is brand new. If you don’t see it, don’t worry – it is coming. It should be, by the time this is posted, rolled out to just about everybody. But if it is not there, just hang tight. You will see it soon. 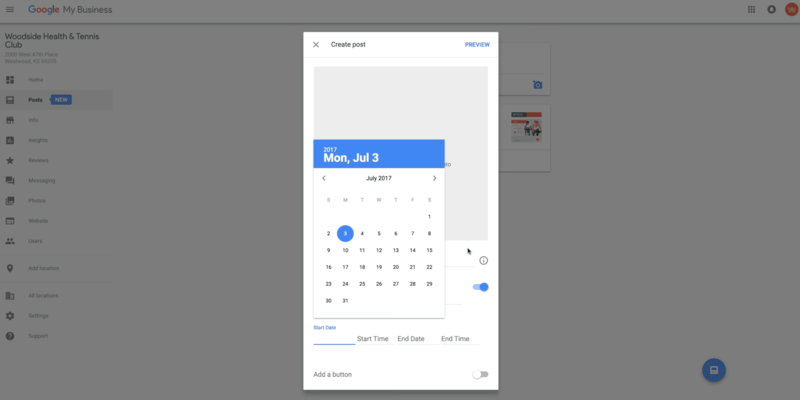 On the left menu, Google is drawing attention to this Post here as well. Hit Create Post, and you’ll see how simple the user interface is. Images are going to be very important for this post type because they’re a huge portion of it. Like I said earlier, think of this like a Facebook post. If your image is kind of boring, it is not going to draw or attract much attention. 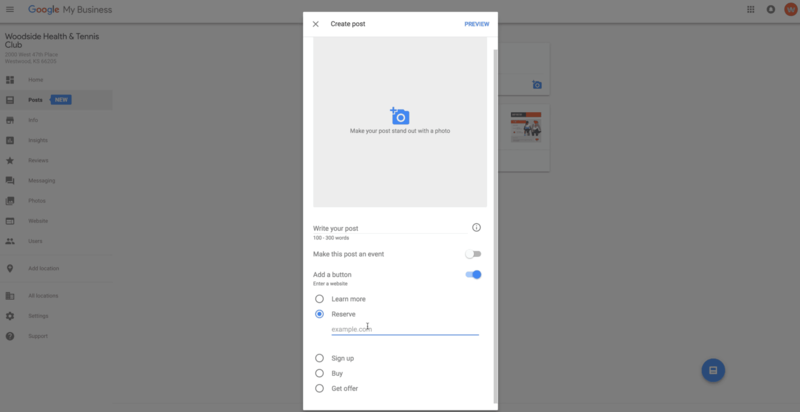 Google says the minimum photo size is 720 by 720. I would recommend the photo size larger than that. I would double it and go 1440 by 1440 just so you have a higher res image across multiple devices. Upload a very engaging image. Next would be the post itself. You can do 100 to 300 words. I have tested it and it allows up to 1,500 characters with spaces. It will cut you off at 1,500 characters. For me, that was close to 300 words, around 260 or so. The next thing that you are going to look at here is they have a special section for events, and that is why– because this really does well for events. This will give you a title, so a title tag that you can name your event, and you can do up to 58 characters with spaces. You will also get neat features like picking the start dates and the end times. Really, really neat for events, and I think a lot of people are going to initially use this for events. However, let’s say you are not having an event. They have this button option – these are all different CTAs – Learn More, Reserve, Sign up, Buy, and Get Offer. If you click in on any of these, you are going to see that it’s just a link. In my example, I just linked to a guide that they had put up on the benefits of exercising with friends on their blog. I will show you in just a second the live example. All of these are this way right now. You just put in a link of where you are wanting to go. I am sure they will expand this. Some people say that there is a Call button, but I have not seen it yet. Maybe that is not rolled out for everybody yet, but that will be really cool, like a click to call right away button. I am sure they will expand these features as we go. Let’s take a look at a live post. Now, if you click in here, you can edit your post, you can delete a post, which is really nice. I just published this, so there are no insights yet, but they are actually going to give you some analytics. You will have insights for each of these posts. If you click View, it will take you to it, but I am logged in, so I am going to go in incognito view so I can show you how this looks out in the wild. 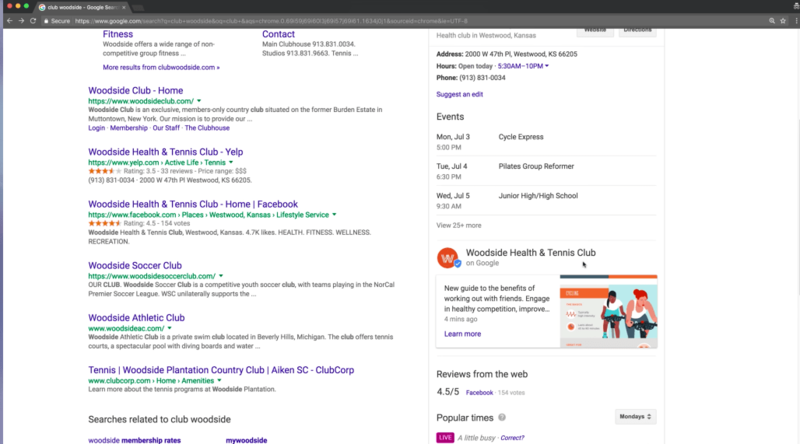 I have Googled Club Woodside, and you can see all the information that’s pulling from their Google My Business account. Here are some of their events. Boom, here is our post. This is showing up really, really predominantly. The image is engaging – It is colorful and simple to use. If you click the Learn More, you will go right to that blog post that I was mentioning, this guide on exercising– the benefits of exercising with friends. I like that Google made this simple. They could have added a lot of bells and whistles to it, but hey, if you want to make a huge blog post, you are going to use WordPress or something like that. This is just an easy way, something to add to your toolbox if you are a local marketer or a local SEO that you can get an instant benefit from. When I hit Publish on this post, it was instantly available in the search results. That part is really, really cool. Down in the comments, let me know how you plan on using this. Maybe you will link me some examples. Show me some events that you have posted or announcements or content that you are pushing. I want to see some of the creative ways people are using this and how they implement it in real life. I look forward to seeing your feedback!